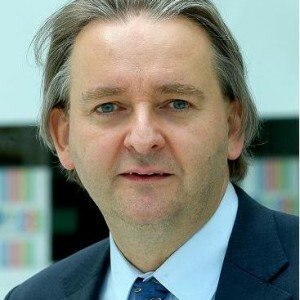 Mr. Dirk Pilat, a Dutch national, is Deputy Director of the OECD Directorate for Science, Technology and Innovation. As Deputy Director, he supports the Director of STI in pursuing the Directorate’s programme of work and contributing to the achievement of the strategic goals of the Organisation as defined by the OECD Secretary-General. He joined the OECD in February 1994 and has worked on many policy issues since then, including the OECD Innovation Strategy and OECD Green Growth Strategy, how to draw greater benefits from information technology for economic growth, how to strengthen growth performance in OECD economies (the OECD Growth Project), how to strengthen the performance of the services sector, as well as work on climate change, labour markets, product market regulation, productivity and entrepreneurship. He was Head of the Science and Technology Policy Division from 2006 to January 2009, with responsibility for the OECD’s Committee for Scientific and Technological Policy, and Head of the Structural Policy Division, with responsibility for the OECD’s Committee on Industry, Innovation and Entrepreneurship, from February 2009 to December 2012. Before joining the OECD, Mr. Pilat was a researcher at the University of Groningen, in the Netherlands, where he also earned his PhD in Economics. He has published extensively in a range of economics journals, with a strong focus on international comparisons of growth and productivity performance.